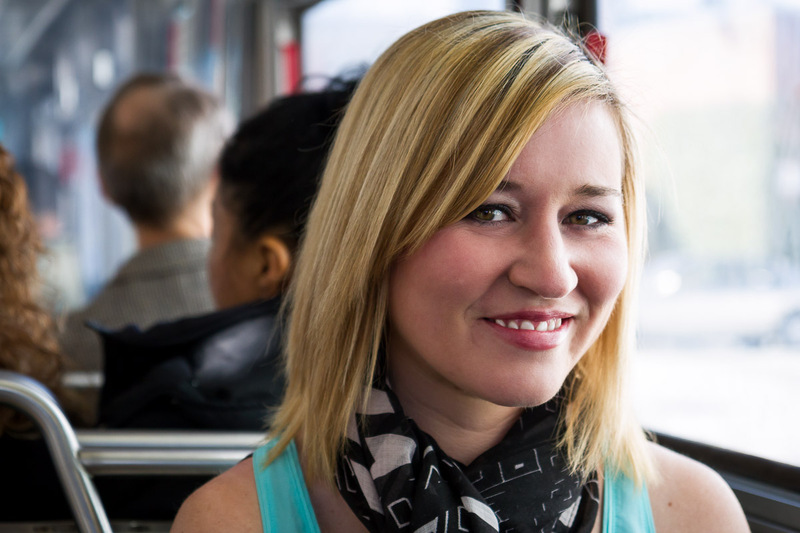 My good friend and coworker Emily chose to take a portrait on Muni – on the 22 Fillmore bus line. 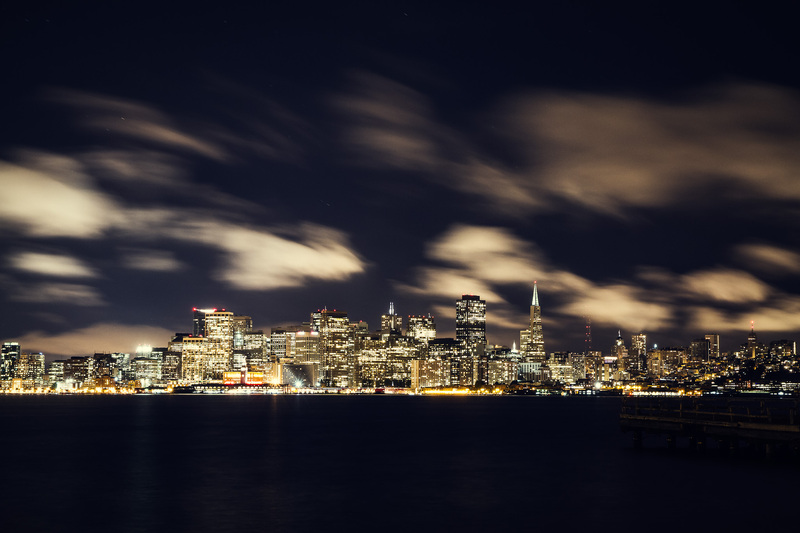 I’ve lived in San Francisco my entire life. All the time I’ve been in the city, it’s never made any sense to have a car. Try parking in my Duboce Triangle neighborhood. Pshh. Public transit has always taken me to where I needed to go. 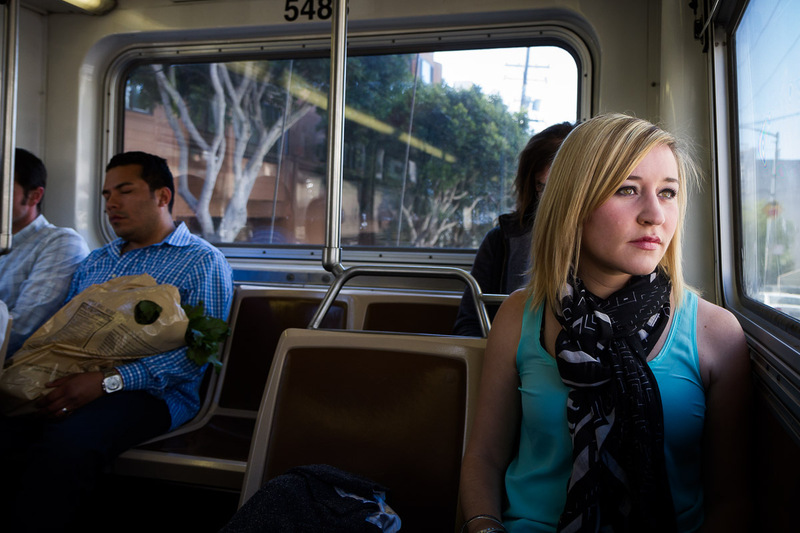 So when asked to think of something that represented my life in the city, I thought of MUNI. Crazy MUNI. Ugh. As much as I complain about it (don’t we all? ), it’s still a huge part of my life every day. I decided it would make sense to take some pictures on the 22 Fillmore. It’s my line. On its route from Potrero Hill to the Marina, it drops me off right at my boyfriend’s apartment, my apartment, my old apartment, my old church choir job, and my current church choir job. So, here I am on my line, the 22, a little cramped and a little late, but knowing I’m still getting where I need to go. Thanks Alissa! I appreciate it! I take the deuce-deuce – straight to HELL! or to the homes of ’90s DJs in potrero foothills.